The world’s biggest and most prestigious fine jewellery and watch fair – Baselworld – will return to the Swiss city next month promising a first look at 2016’s most beautiful and innovative creations from some of the greatest international houses. Moving to a new home at Messe Basel this year, Baselworld will welcome over 150,000 visitors and 1,500 brands from 40 countries eager to see and show off the latest developments in the high-end watch and jewellery industry. Now in its 99th year, Baselworld has become a highlight of the luxury calendar for consumers and professionals alike and should not be missed by those with a serious interest in gems or horology. 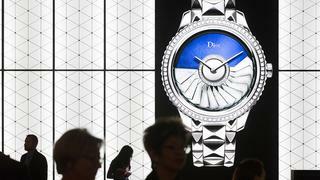 Among those exhibiting this year are famous brands including Chopard, Emporio Armani, Blancpain, Breguet and Rolex. However, the fair is also a great place to discover the hottest new luxury watch brands to look out for and in 2016 Genie, Angelus, Speake Marin and Artya all promise great things. Although many of the brands are keeping their new releases close to their chests until the fair, a few have allowed a sneak peek at what will be on offer. Harry Winston, Blancpain and Breguet are leading the pack in women’s timepieces – with each revealing beautiful, colourful timepieces decked out in diamonds – while Andersen Geneve, Emile Chouriet and Catorex have all unveiled blue-hued watches perfect for nautical voyages. 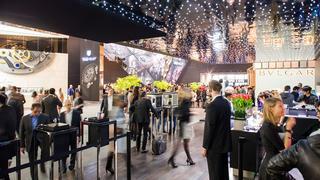 Baselworld’s organisers have also introduced a dedicated app to help visitors navigate this year’s huge fair. Featuring the latest news and detailed information on exhibitors, events and conferences – as well as the ability to add your own notes and photos – it is the perfect way to make the most out of Baselworld whether you’re visiting for the whole week or just a day. Baselworld 2016 takes place from March 17-24 at Messe Basel, Switzerland. Visit baselworld.com for tickets and information.